Any successful website must take the user experience into consideration. While you may have your list of priorities and different items that you want included, you have to arrange these essential items in a way that speaks to overall usability. For existing sites, this may require periodic testing and website maintenance to make sure that all the components continue to be audience focused and reflect current best practices. 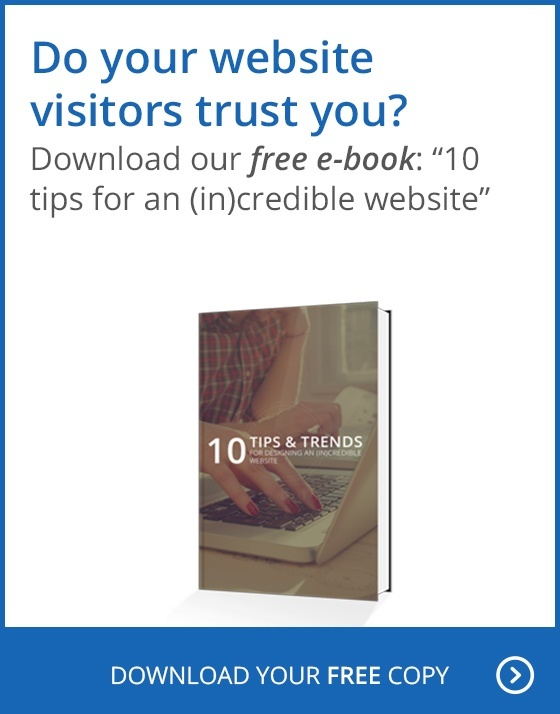 Every visitor comes to your site for a specific reason. Maybe they want to learn more about your services or place an order. Whatever their goal, they should be able to accomplish it quickly and easily. This requires that all the buttons and links on your website are working properly and that new users are guided through each task. You should provide clear order forms, FAQ pages, tutorials, or any other type of instructional information that will help them get the details they need to complete each task. A good test of usability is whether customers can easily repeat a task once they have gone through and successfully completed it the first time. With sites like Amazon, frequent users can easily place an order without having to start from square one because the website has a high usability factor. It is also important that visitors can quickly recover from a mistake. How quickly are they able to return to their intended page if they get off track? Being able to easily navigate your website is another key factor in usability. This typically comes down to presenting a logical organization that meets the visitors’ expectations. Most people are used to a certain layout that is intuitive. They know to look for drop-down menus and where to scroll to find contact information because these items are pretty common across all sites. If you try to get too fancy and avant-garde with your design, you may actually be making your website less intuitive and more difficult to navigate. Again, make sure that you are performing regular website maintenance to make sure that you continue to meet visitors’ expectations. You want to create content that reflects your company’s brand image, but you also want to make sure that you are addressing issues of readability. At the bare minimum, the content should be mistake free and logically organized so that it provides a guided experience that communicates the most important points first and is followed by supporting details. Regular website maintenance activities should include updating content in order to incorporate keywords and make content more engaging so that visitors are more apt to share your work. Readability also includes more practical issues such as font size and color. Provide enough vis so that visitors don't have to strain to read your content. Nothing is more frustrating than trying to explore a website and being met with slowly loading pages. Users want to be able to quickly and efficiently move through pages and get instant responses to their clicks. Response time can make all the difference in whether visitors stay on your site or move on to a competitor. Be sure to conduct website maintenance tests that examine the quality and size of page code in order to ensure optimum response time. The biggest mistake website designers can make is not asking for outside feedback or examining exactly how visitors interact with their site. It can be all too easy to settle into a type of tunnel vision where it is difficult to see where there may be room for improvement. You don’t always have to worry about enlisting the help of experts. Ask your friends, family and co-workers to explore your site, and follow-up with specific questions about their experience. They will be able to give you some concrete suggestions that will help with website maintenance. Also, don’t overlook your analytics reports. These valuable sets of data can tell you which pages are performing better than others, how long visitors stay on any particular page and how they arrived on your site in the first place. Having access to that kind of detailed information can help you focus your efforts and address usability issues without having to do a complete overhaul of your entire website. Testing for usability is a vital part of staying competitive. Websites are dynamic creations that need to adapt to the demands of the market and the changing needs of visitors. Be sure to conduct regular tests, seek out feedback, and continue to improve the usability of your site. Testing along the way can help you avoid major renovations and allow you to continue to be a leader in your field.